Danny didn't know what she was looking for when she and her mother spread out a map of the United States and Danny put her finger down on Tempest, California. What she finds are the Grays: a group of friends who throw around terms like queer and witch like they're ordinary and everyday, though they feel like an earthquake to Danny. But Danny didn't just find the Grays. They cast a spell that calls her halfway across the country, because she has something they need: she can bring back Imogen, the most powerful of the Grays, missing since the summer night she wandered into the woods alone. But before Danny can find Imogen, she finds a dead boy with a redwood branch through his heart. Something is very wrong amid the trees and fog of the Lost Coast, and whatever it is, it can kill. 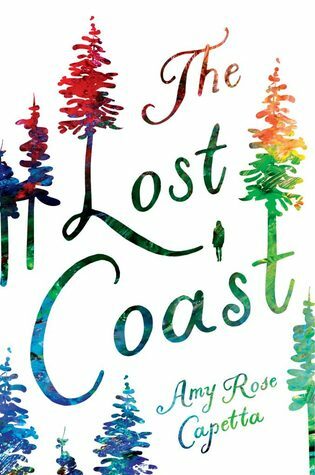 Lush, eerie, and imaginative, Amy Rose Capetta's tale overflows with the perils and power of discovery — and what it means to find your home, yourself, and your way forward.